Reyes Roofing Contractors, LLC is a top roofing company servicing Burke VA in roof restoration, construction, repairs and installation. Reyes Roofing Contractors, LLC is a top roofing company servicing Burke VA in roof restoration, roof construction, and roof repairs and roof installation. Here at Reyes Roofing Contractors, LLC, we take pride in our quality materials and expert craftsmanship on all of our roofing projects. We understand that the regular care and maintenance of your roof system will provide a worry-free and long-lasting shelter for your home or business. Whether you are in need of residential roofing or commercial roof repair or installation, Reyes Roofing Contractors, LLC will inspect and provide a no-obligation recommendation. We will take into consideration your roofing needs and aim to improve your energy costs, increase the value of your property and add to the beauty of your property. We are certified by leading roofing manufacturers and have received many accreditations including CertainTeed Silver Star Contractor, CertainTeed SELECT Shingle Master, and Velux Five-Star Skylight Installer. 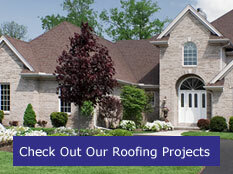 Click here for a free, no-obligation roofing estimate. 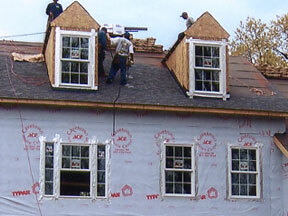 Have roofing questions in Burke, VA? Contact Reyes Roofing Contractors, LLC.